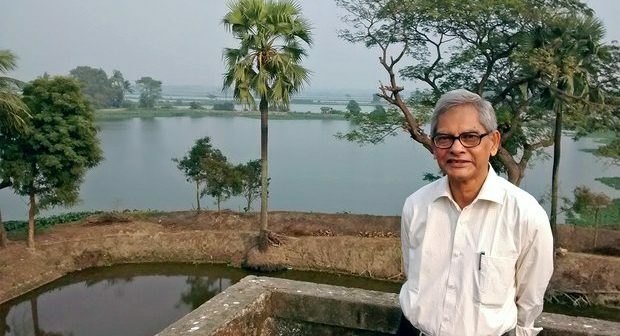 Anyone who knows about the unique wastewater fed fishery system in the East Kolkata Wetlands (EKW) – India, would know the name, Dr. Dhrubajyoti Ghosh. For some he’s a brilliant scientist; others, a revered Guru; some fear his name; but for tens of thousands who make a modest living out of the fishponds of EKW, he is a Savior! the man who told their story to the world and fiercely fought over three decades to save their livelihood. Dr. Ghosh, passed away in February this year at the age of 70. He was world renowned for his studies on EKW and lifelong dedication to save the wetlands from destruction, amid Kolkata’s urban explosion. His long term research on this unique community managed urban wetland, which is also the world’s largest wastewater fed fishery system, has produced invaluable insights for wetland science, and theory and practice of community based ecosystem management globally. Ghosh spearheaded the campaign for legal protection of EKW and eventual Ramsar designation for the wetland in 2002. The engineer turned ecologist has many books and scientific papers to his credit, including, “Ecology and Traditional Practice” (2005), “Ecosystem Management: Towards Merging Theory and Practice” (2014) and the latest “The Trash Diggers” (2017). He is a UN Global 500 laureate and received the prestigious Luc Hoffmann Award in 2016. But his greatest award was the unreserved love of EKW’s fisher folk, with whom he stood upto the land sharks, real estate developers and governments for many decades. 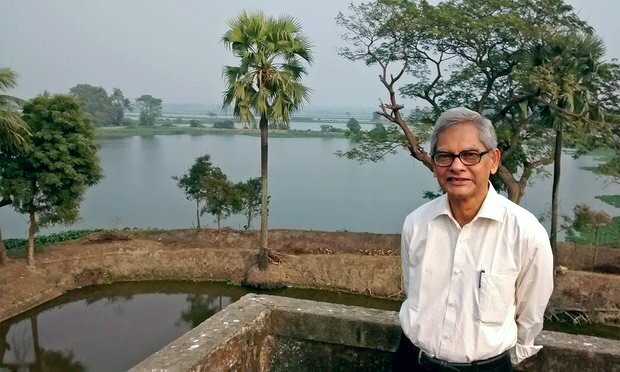 Dr. Dhrubajyoti Ghosh was a founding adviser of Urban Wetlands, and we are proud to be a part of his legacy. Urban Wetlands expresses deepest condolences to his family, professional colleagues and people of Kolkata.